A patio heater is a great device to have to make cold nights outdoors enjoyable and comfortable. 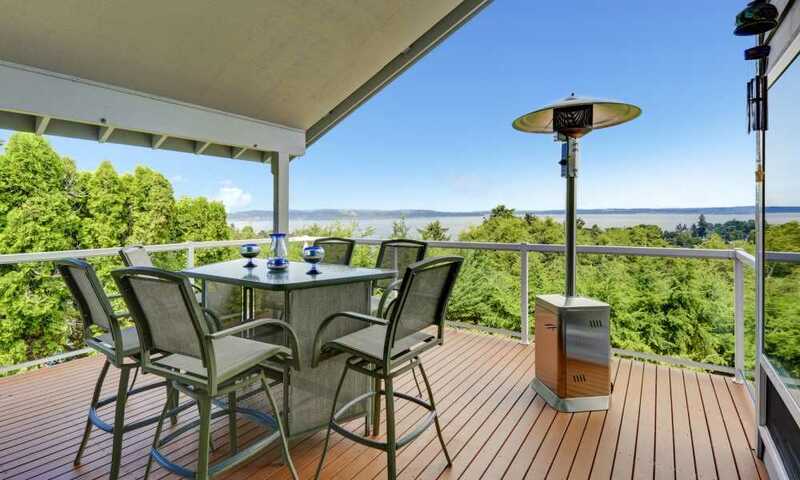 The heater raises the temperature a few degrees on your deck or patio area. It is also helpful for camping or fishing trips because it takes the cold bite out of the air. Industries and construction sites gain more when a heater is used on the site because it lengthens the day for more work. Greenhouses also need heaters to keep plants from dying in the cold. 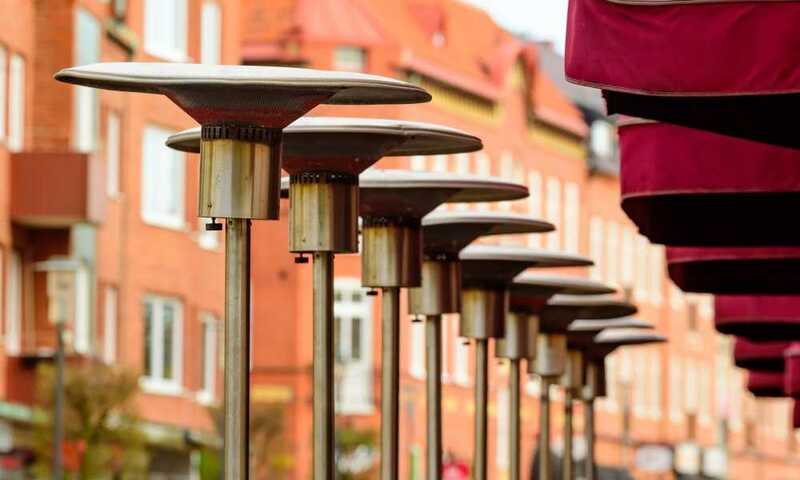 Restaurants can use this type of heater to extend their dining areas outside in cooler seasons. 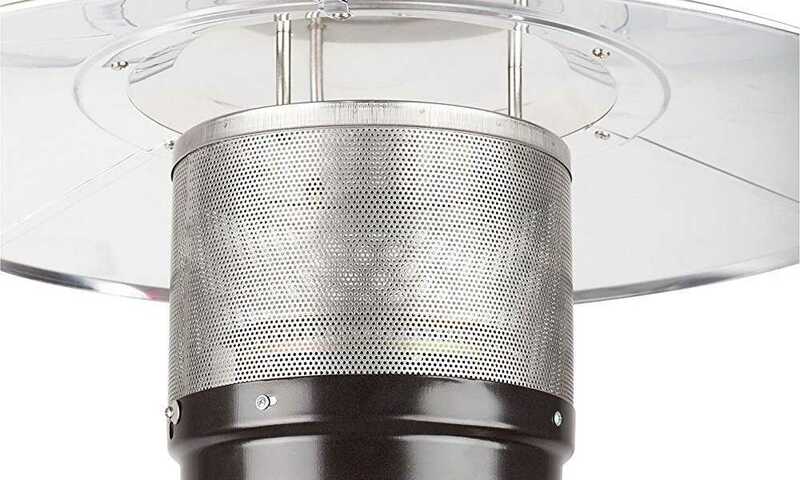 The patio heater is a useful device that gets energy from electricity or propane gas. 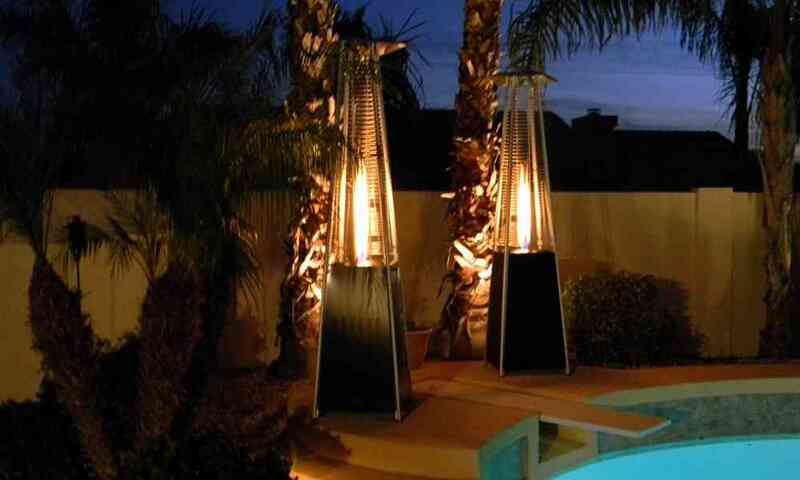 These two types of patio heaters are the most common and their mechanisms operate differently. The electric patio heater operates like a heating lamp. A bulb that radiates intense heat is connected to a power source. The bulb is encased in a stainless housing and some are protected by glass. Some radiate infrared light and will produce as much as 5,000 BTUs of heat within a 12-foot radius. These heaters need to be plugged into an electrical outlet with 120 volts. To operate, it needs to use 230 to 240 volts of electricity. The electric heater comes in various models; there are heaters that are placed on the table or some are mounted on the wall. They are effective in raising the temperature by a few degrees. There are heaters which function like a giant heat lamp. These are the types that use an incandescent light bulb to generate a high level of heat. The light from the lamp then produces heat that will generate a warmer feel. The propane heater is fueled by liquefied gas stored in a tank. The sizes of the tank varies in weight. The tank sizes vary at 20, 40, and 100 pounds. These heaters are powerful and can emit energy as much as 60,000 BTU’s. They are sturdy and are now designed with features that make them fire-hazard free. These heaters are also good in making large spaces warm by 10 to 15 degrees higher. There is no need to plug in the heater or use extension cords to allow it to function. Which is better? Electric or propane heater? Both heaters present good qualities and practicality of use. Electric heaters are convenient and are safer for the environment because they does not use gas. They are safe to use because there is no flame or materials that can cause harm to the user. Electric heaters are energy efficient and will only take a small amount of energy to produce a comfortable amount of heat. Propane heaters, however, produce more heat. They are powered by propane which makes the heater transportable and can easily be put in any area of the yard. The heater is also equipped with safety systems that make it turn off when it is tilted, reducing the risk of fire. 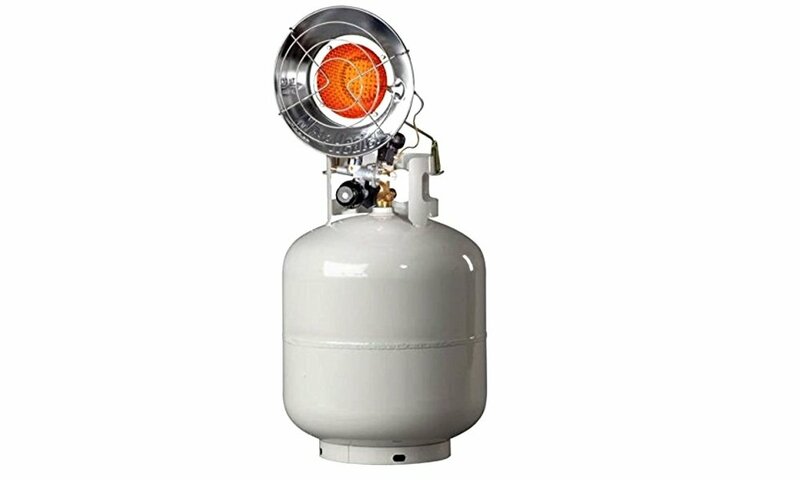 Most propane heaters can be useful for defrosting pipes and car engines. In general, propane heaters are more practical and cost the same as electrical heaters. They produce more heat for the same price. Propane heaters are more efficient in bringing the cold down and bringing more comfort to users. To be able to make the right purchase, you should first identify the amount of heat that is needed. Heat energy that is produced by heaters is measured by BTU (British Thermal Unit). The BTU, or the English equivalent of the calorie, is the amount of energy that the heater gives out. This is important to determine so that the heater will produce the right amount of heat for your needs. The heat energy requirement can be calculated by measuring the area of the patio. You will have to determine the length, width, and height of the patio. A measuring tape should be able to give you a measurement in feet. Multiply the measurements and the product will be the area in cubic feet. The outside temperature should be determined next. Using a thermometer, you can see what the outside temperature is, and then estimate what the ideal temperature would be in a comfortable setting. 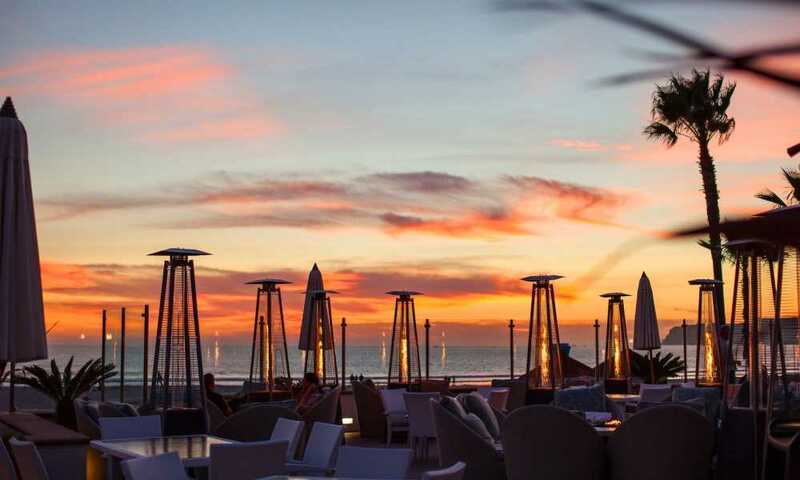 The difference between the ideal and actual temperatures will be multiplied by the area of the patio. The product is the heat energy that is required to be produced by the heater in BTU’s. There are other factors that need to be taken note of when buying a heater. Aside from the energy required, you should check if the product is durable and stable; this will be identified by checking the material of the heater. 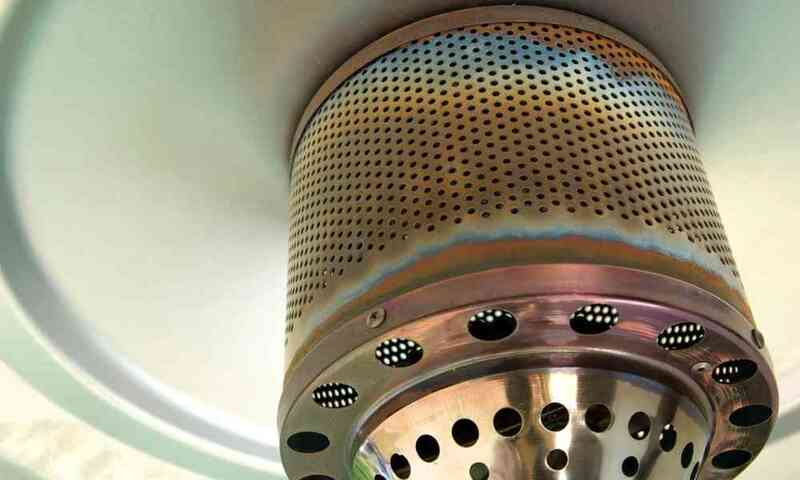 Good heaters are built with stainless steel and are coated with a good finish to resist rust. The heater must also be able to stand firmly on the ground so it will not fall or be blown over by strong winds, and cause a fire. Good heaters come with easy-to-turn switches and auto-off features. The switch of the propane heater should ignite the burner without using matches or a lighter. Many heaters have switches that can immediately be turned off in case of emergency. Tall heaters shut off automatically when tilted. These features are for the user’s protection against accidents. The heater should also be stable. Since the heater will be placed outdoors, it must be sturdy enough to withstand the wind. The coating on the stainless steel body should be good to prevent it from chipping and eventual rusting. If the heater is easily assembled, then it is a good buy. It should not take too long to put together and all of its parts should fit well. This is crucial so that the heater will function properly and gas leaks will be prevented. The burner should be placed firmly on the frame. The heat that is generated should be contained. The look of the product is also important. Most propane heaters are designed to complement deck furniture and should be a major factor in choosing the right product. Classy and elegant propane heaters can make social gatherings enjoyable and add a comfortable feel to the venue. Based on consumer reviews and comments from consumers, a list of the best propane patio heaters can be found below. These products were reviewed based on their durability and heating capacity as well as safety to the users. All of these heaters are certified safe and operate within government regulations. 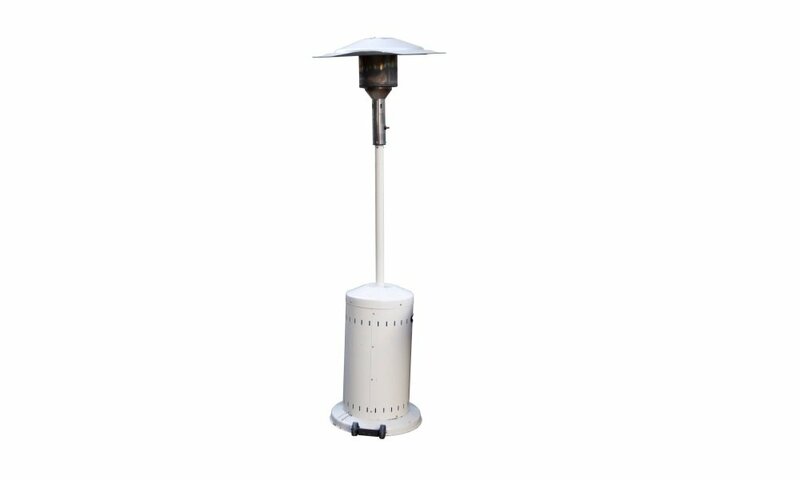 This is a patio heater that makes comfortable outdoor entertaining possible, even in the winter. It is durable and stable. The metal is made of stainless steel and is bronze finished. It generates as much as 46,000 BTUs and can be a substitute for firewood. The product is portable because of its wheels, and can be stored easily. It also has a good ignition and can start without the use of lighters. The heater will make no noise and will not disturb any gathering. It is 89” tall and makes uses a 20-lb. propane tank. The bottom panel of the base can be filled with sand so that the heater will stand firmly on the ground. It is easy to assemble and will not be time consuming to set up. However, the heater will not produce enough heat in below-zero outdoor temperatures. The manufacturer does not sell spare parts. This product can generate heat of 15,000 BTUs and spread over a 5’ radius; it can raise the temperature by as much as 12°. It uses a 20-lb. propane tank and can be used for hours without giving out. There is easy on and off switch that is convenient and user friendly. The lamp is directly connected to the propane tank and will not be knocked off. All parts are made from stainless steel. The product can be used both indoors and outdoors. There will be more space on the patio because it is ergonomic and will not be toppled over by the wind. The heater can raise the temperature by 10° in 15 minutes in an area of 100 square feet. At low flame, the heater can run continuously for 3 hours, which is perfect for outdoor parties. The downside is that it does not have an emergency shutdown switch, which can be hazardous. 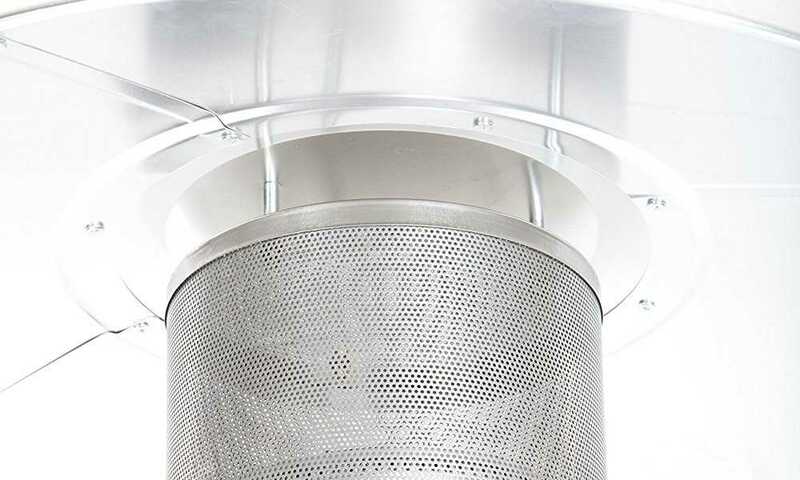 The metal grills on the lamp melt when subjected to extreme heat. Has weight of 3 lbs. This is an industrial-grade heater that can blow 60,000 BTU’s of heat. The entirety of the heater is made of stainless steel and can be used with any propane tank size. The heater has a blower that is powered by electricity, and is appropriate for heating construction sites, warehouses, and greenhouses. The coverage area at maximum is 1,350 square feet. It is a lightweight and portable product. The lamp comes with a handle and makes it easy to carry and transfer. The heater has an easy turn-on switch and automatically shuts off in extreme heat. The product can be used on patios, decks, garages, or basements. The structure of the product is good and the heater’s stand will keep it firmly positioned on the ground. Because the product gives off flame, there is a tendency for users to get burned when excess flames are produced. It is best to keep the product away from flammable objects. The AZ patio heater has a unique design. It is a heater with a burner attached to two quartz glass tubes to distribute a glowing yellow light and warmth. The glass has a metal grill enclosure that keeps users away from the glass, and protects the entire structure. The base is made of steel. The entire heater stands at 91”. The switch can be easily controlled and the heater automatically shuts off when tilted. It is powered by a propane tank of a 20-lb. capacity and will run continuously for 19 to 21 hours. The heat that is produced is moderate and gradual. The flame slowly works up the glass tubing, keeping users safe from sudden gas outbursts. The heater can also be easily transported using its wheels at the base. The heat control is manageable. Because the heat of the unit comes from the bottom, the heater might not provide adequate heat if more is needed. Heat is moderately distributed and will not radiate directly to the user. The manual is confusing and it is not easy to set up. 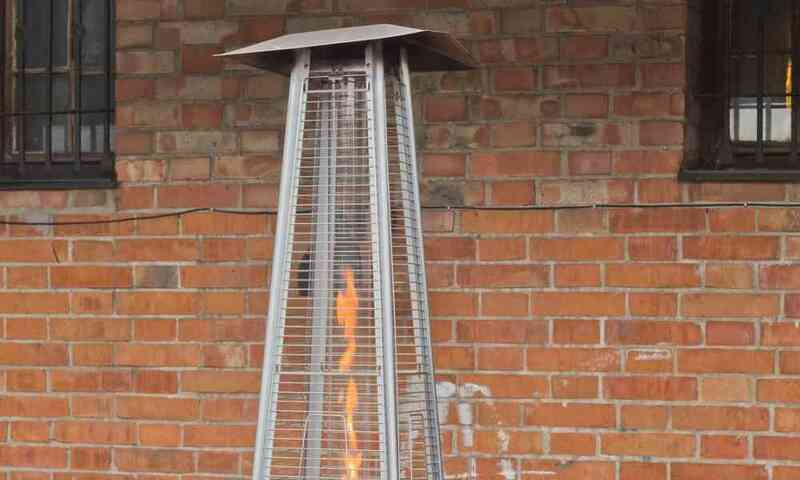 The Fire Sense heater is for commercial and home use. It is made of stainless steel and coated with a bronze finish. It can produce as much as 46,000 BTUs of heat, and the burner is covered by two layers of steel mesh for protection and safety. It has an anti-tilt mechanism and can easily be switched on and off. Regulating the heat is easy. The product uses a 20-lb. propane tank which is put in the case at the foot of the stand. This is a product that is easy to assemble. The heater will arrive complete with parts that do not need to be refitted. The product is tall at 7.5’ and will give off heat well. It is safe and will automatically turn off when tilted. An emergency shut-off button is also provided. The gas may take a few minutes before it reaches the burner. The ignition switch must be held for a few minutes before ignition starts. Longer pressing will cause the product to burst out a large flame. 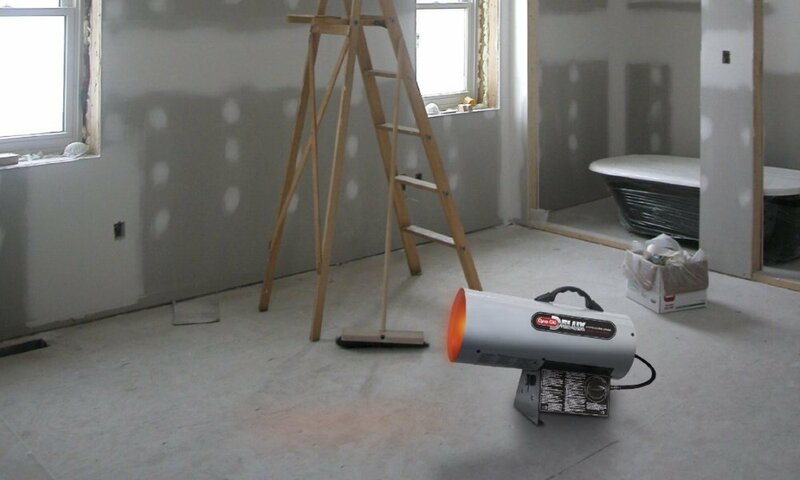 The best propane heater should provide you with safety and protection against fire. Working with propane poses certain risks, and tanks should always be handled with the right safety factors in mind. A propane heater will come with safety features to avoid fires, but you should not be complacent. When using a heater, it should be noted that if the right heat requirement is not determined accurately, the product might not be able to perform as expected. This is why proper calculations must be done before purchase, and the conditions of the area must be considered well. A well-functioning heater will always disappoint if the intended area is too large or if too much heat is generated.